What makes a "good" blogger? Make that a "great" blogger. Nope, let's call him a "bigtime" blogger....or as what they call themselves : "authority" blogger. "What is an Authority Blogger? An authority blogger is someone who has built an expert reputation on his or her chosen blog niche – be it food, technology, travel, business, lifestyle, or others. 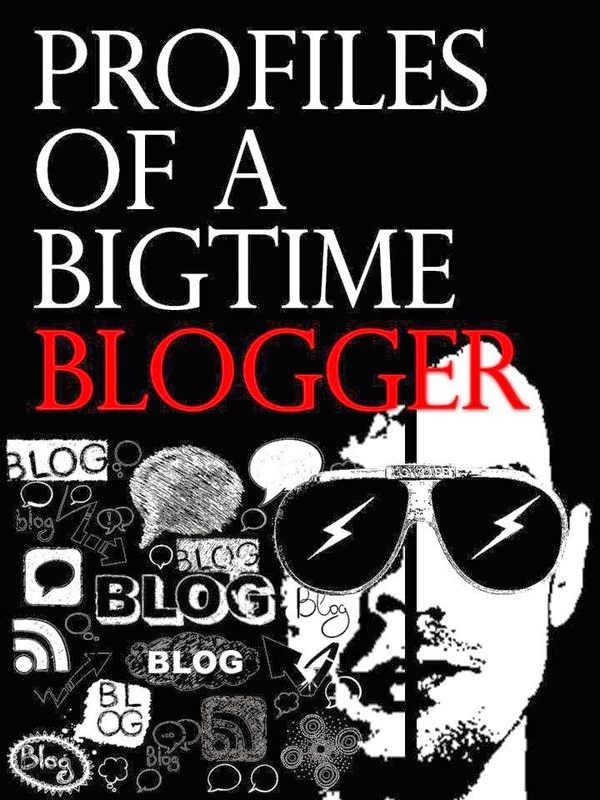 I've chanced upon a book called "Profiles of a Bigtime Blogger" and I'm not even half-way reading it but I'm terribly hooked already. The book blatantly elaborates characteristics of so called bloggers categorized in so many ways but simply hits the spot right on as if its specifically identifying real-life people - who knows, maybe the authors are really describing actual people. Be sure to catch them soon at your favorite book stores as I was informed it's on a special release on e-book format only for some of us bloggers to review. It will come out soon, hopefully on hard cover, but the online equivalent is already worth every centavo of your hard-earned money. Blogging has indeed gone a long way that they're writing books about the new media....and you're way too late in the game if you have not taken advantage of the influence of blogs. Is it true that any good or bad article about a product, service, or person is actually more beneficial than harmful? When people use press releases as a way to promote or threaten, then I have to say blogs are then perceived as very influential. Blogs can really make or break you, and it's forever online lurking around for many to see, take advantage of and/or misuse for their ulterior motives.